As we cannot predict the future, anything can happen anytime or anywhere, and one of the critical situations is slip and fall. There can be many reasons behind the slip and fall condition such as wet or uneven surface, weather conditions, fraud, footwear and many more. Accidents may happen either at your own place or someone’s else properties. Although you cannot stop any future happening, you can initiate some immediate actions to prevent any mishappening on a broader level. You need to keep your property well-maintained. There are some places on your property that need most concern such as stairs, floors, and even lawns. 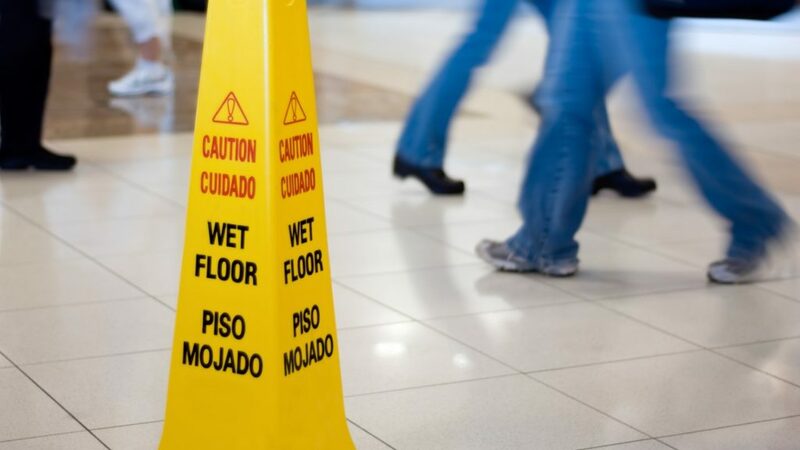 As slip and fall case comes under personal injury case, there is also a term called premises liability that is applied if you fall or slip and severely injured at another’s property. If the injury is caused by the owner’s negligence, the injured is entitled to get compensation from the owners. However, it should also be your concern to take some immediate steps not only to prevent injury but also keep proofs. Here are some of the steps you need to take a slip and fall case. It’s essential to give your health priority when you get injured in the slip and fall case. Whether the injury is minor or you have severely hurt, you need to seek doctor’s help. Also, make sure you have proper documentation of your medical bills. These important papers need to be presented when you are entitled to get compensation. Whether you slip in a departmental store, on pavement or even at your relative’s house. It’s essential to report the owner or authorized person of such property. Also, it is necessary to take all the details in a written report and have a copy of that. With obtaining all the evidence, it is also important to adhere all the witnesses. Make sure you are collecting all the details of witnesses such as their addresses, phone number, email address and other necessary information. Statement of such witnesses will help in your legal claim. Also, make sure you have clicked pictures of accident spot and if you injured possibly click the part that is getting hurt. It’s apparent that you will get hyper if you fall at another’s property and the owner is neglecting the fact. But, here you need to act wisely. Don’t give much information to the owner. Also, some post their accident pictures on Social Media, which is wrong! Also, you also don’t need to give all the information to your insurer before you consult your slip and fall lawyer. If you are considering to take legal action, a well-versed slip and fall lawyer will be the best companion in Lake Charles. Although it seems an open and shut case, it’s not! It will need a qualified attorney to prove your point. So, you need to search for best law firms in Lake Charles. Slip and fall cases are one of the typical cases in Lake Charles and accordingly, law firms are giving a significant adherence to the case. So, above steps are the first thing you need to initiate after having a slip and fall case. How did Nespresso change how people enjoy espresso? Stick to these behavioral ideas, and there exists a considerable likelihood you’ll achieve function meeting.